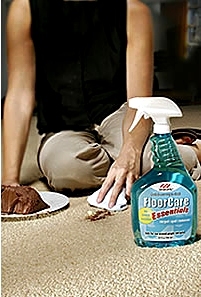 Floor care products for carpet care, wood floor care, laminate floor care and tile care. We offer information on some of the finest floor care products available by the most trusted names in the floor care industry including Stone Tech tile care products as well as carpet and wood floor care product information from Mohawk. View The Entire Floor Care Products Line From Mohawk. Call Mohawk or stop by your local dealer to order. Stone tile care products from the leader in stone tile care, Stone Tech. Stone Tech offers some of the finest stone tile care products available anywhere. View the complete tile care products line. Floor Care Products, Carpet Care Products, Hardwood Floor Care Products, Laminate Floor Care Products, Tile Care Products, Stone Tech Tile Care Products, Tile Cleaner and Tile Sealers.